Babyology Exclusive – Hauck Alpha highchair arrives! It’s seriously good-looking, stupendously great value and it has just arrived in Australia! The Hauck Alpha highchair’s price tag will stun you at just $149. Do the numbers; it’s a chair which begins as a highchair from the time your baby is six months of age, and lasts right up to 40kg, or about age ten. Just $15 a year? It’s almost too good to be true, but this is real folks. Thanks to the integrated system, small children from six months as well as older ones can sit with the family at the table. For older children, remove the safety bar and the seat unit and footrest can be adjusted in height and depth. This allows your child to sit at the correct height at the table. Hauck makes this chair from processed wood which comes from the sustainably managed European timber industry, making a contribution to the protection of the environment. This versatile chair will have the kids sitting properly at the table and able to reach all that they need to! Grab a Hauck Alpha highchair now from The Little Market for $149. Also available are the chair pads to cushion the tush for just $31. 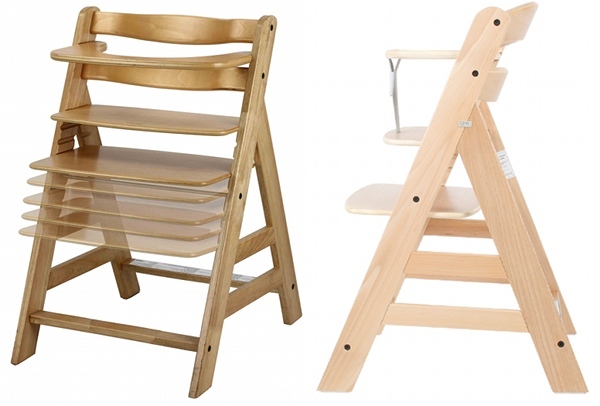 The Hauck Alpha will soon be added to our handy Highchair Chooser where you can compare makes and models.